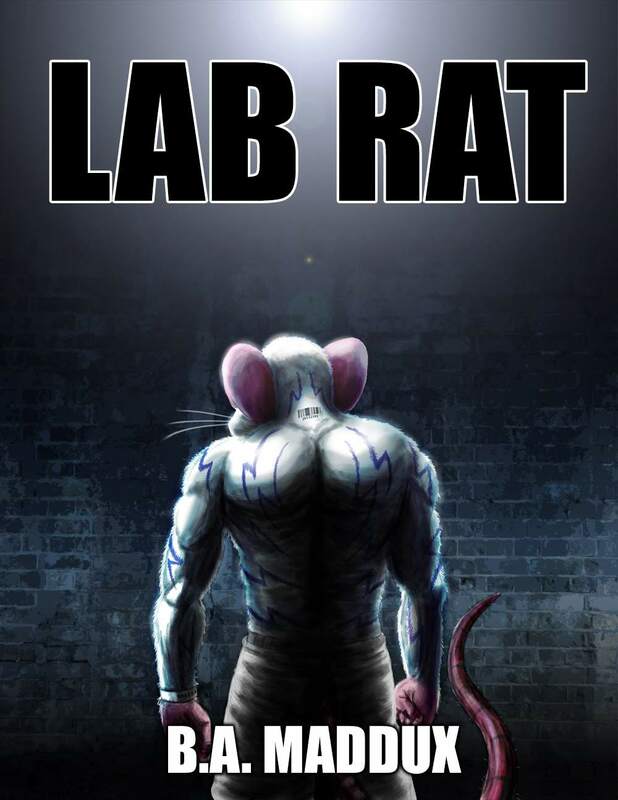 To jump ahead to the bottom line; Lab Rat is mysterious and full of action, and you will like it if you turn off your brain. The narrator, Zack, is a lab rat, grown artificially in a vat. The first few pages of this novel are stream-of-consciousness; his first disjointed thoughts. Two beings look into his tank; Father and Golem. Father was complaining recently about the limitations of Golem’s tactile sensors, which makes no sense at all to me. But I could tell that he was talking about the flat-voiced speaker. Golem is mostly black and silver in color. Legion Publishing, Dec. 2012, hardcover $18.99 (311 pgs. ), trade paperback $9.99, Kindle $2.99. Golem’s crystalline eyes glowed a soft green just before a life sized hologram of myself appeared before the stone and metal servant. I hid my surprise that the construct had that ability. If I had known, I would have asked it’s [sic.] assistance when getting dressed. The cracked mirror in the bathroom had been a poor means to double check that my attire gave the intended image. Zack’s monologing provides necessary information about his world and society; just ignore that he seems to be conscious that he is talking to 21st-century American readers. Do you go around telling people, “I’m going to drive to work in my car. That’s an internal combustion vehicle powered by gasoline, that travels on streets controlled by traffic lights …”? He has been out of his tank for only three days, and while his programmed knowledge is more than Father (Dr. Newdent) has in some areas, he also reveals himself to be incredibly naïve to be sent out on an important secret-agent mission. He has been made into a 9-foot tall, muscular rat with white fur with jagged blue stripes, so that his appearance will intrigue the dragons and let him get close to them. Yes, but he will also attract the attention of every casual bystander and police officer who sees him; not a good trait for a secret agent. He is driven from the secret lab where he is “born” – his first time out of the building into the outside world – to the dragons’ exclusive night club, the Pink Unicorn, by an incredibly talkative minotaur cabby who just happens to give him a lot more information that he needs. Zack’s mission is to drink quietly at the bar and to wander casually to get close to the dragons there to surreptitiously find his target; but when a drunken dragon starts annoying two classy dragon ladies, Zack plays Sir Galahad to rescue them, and gets into a fight that attracts the attention of everyone in the nightclub, including the manager and the owner. Zack is too naïve to realize when a male is hitting on him. And so on. There are several mentions of Zack’s long, hairless rat’s tail. As those who have any experience with rats know, their tails are not really any more naked than humans are. Humans do not have fur, but the average human male has considerable body hair, and so do rats’ tails. 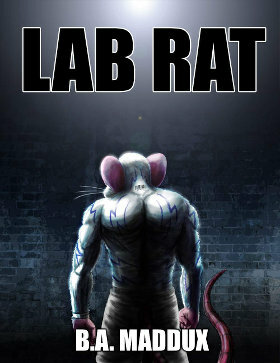 Lab Rat is an enjoyable funny-animal novel set in the city of Aeonston, with fire-breathing dragons in business suits, a gryphon bartender, a wolf waitress, foxes, kangaroos, rabbits, and others. Zack must figure out what is really going on in the officially-over Dragon-Dire Wolf War, break his conditioning, decide who he truly supports, and convince that side that he is coming to them as a free agent, not a controlled saboteur-killer. Considering the level of writing, this reads best as an unillustrated funny-animal comic book. Take it as that, and you will have fun. There's only one explanation: he shaves his tail. WE've got a bona-fide rat-scaper on our hands.